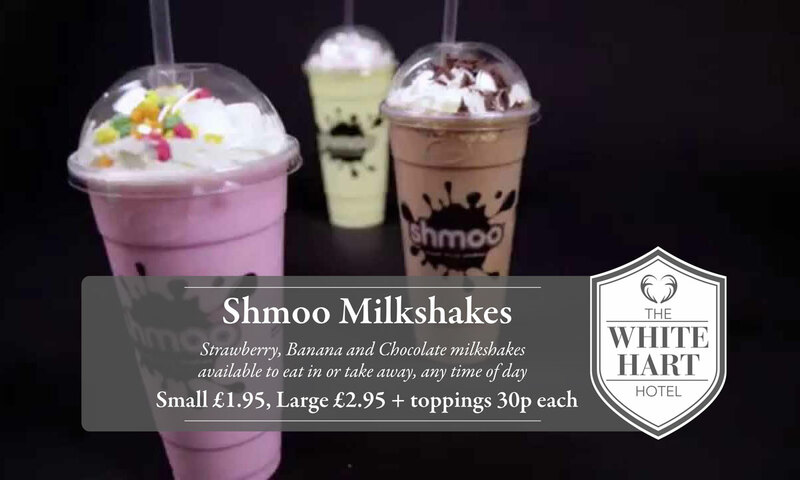 We are now offering delicious Shmoo milkshakes in Strawberry, Banana and Chocolate flavours. Available to eat in or take away, any time of day. Enjoy a small for £1.95, a Large for £2.95 and choose from a selection of toppings at 30p each.